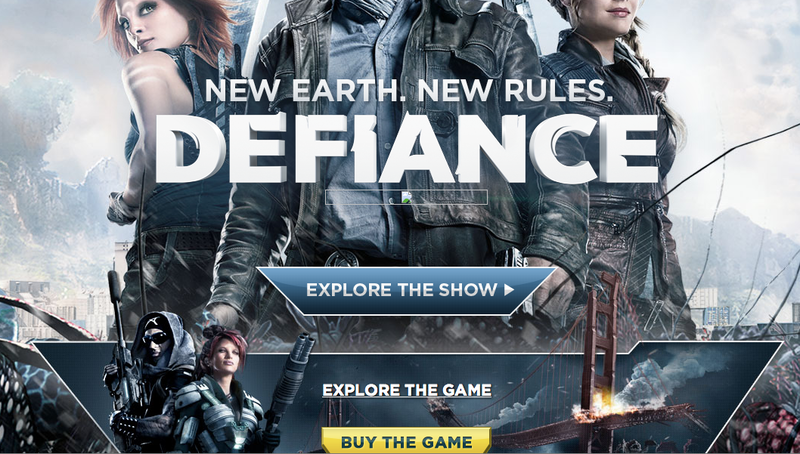 I will admit I was at times being a bit sceptical towards ”Defiance”, the transmedia project from Syfy. I felt it could be great, but at the same time I was afraid of being let down (again), or having to witness a project where everyone involved decided to try too much and achieving too little. It seems my worries were unfounded. I’m still waiting to log my first hours of game play, but I’ve seen the premiere episode and am quite convinced by the world building, the characters introduced and the scope of the story arcs starting to unwind. The ratings for the first episode back this up and the sentiments from people I trust serve to underscore the the message. ”Defiance” is the best opening title for Syfy since the premiere of Eureka in 2006. In a changing media landscape, where second screening and DVR:ing are the norms, that is quite impressive. The social media impact of the premiere was also significant, outperforming amongst others the first episode of the new Game of Thrones-series. So, what did they do right? Just about everything, it seems. Where transmedia storytelling builds on the principle of creating a thorough foundation to ground all stories, story arcs and characters in, Syfy and Trion Worlds (the game creators) apparently did a great job of stripping the IP down. They realized they needed to get to a level where the TV and the gaming parts of the narrative could talk to each other in a logical way. Then, they continued, by building it all up again after that, to achieve the complete package we can take part of today. There are of course still question marks that abound. Do the TV and game narratives influence each other in any way? There’s been such rumours; how that’ll play out will be infinitely interesting to see. Will the audience stick around? We’ll just have to wait and see; but with a 7.8 score on IMDB after the first episode, level with series such as The Killing and CSI, I don’t think it’ll be scrapped anytime soon. Waiting for the game, so I’ll tell you what that’s like too! Yeah, getting myself acquainted now as well. Looks good! I think I will yes. Liked the world-building, will see how it goes!